Description: A delicious vegan, no GMO, organic, snack packed popcorn with nutritious ingredients. 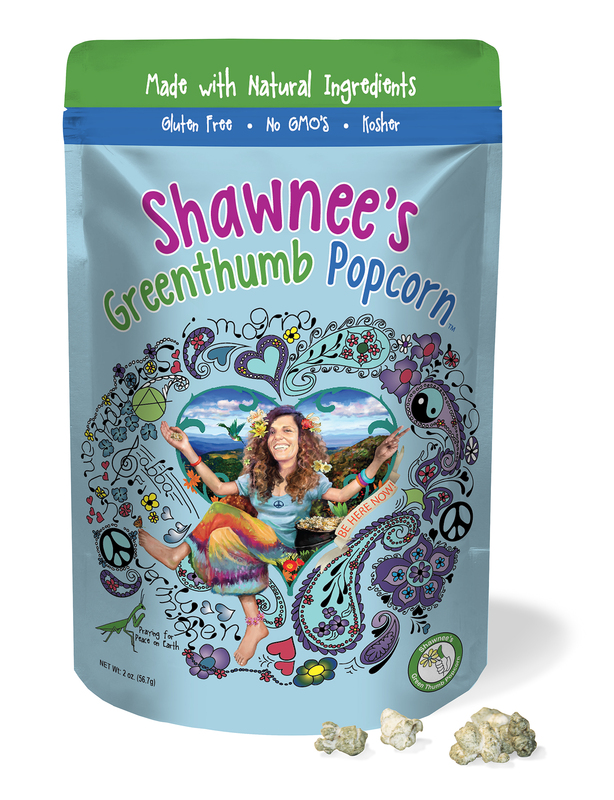 Ingredients: Organic popcorn, organic sunflower oil, organic Spirulina, nutritional yeast, Sea salt, organic garlic powder, organic cayenne powder, organic kelp powder, organic beet powder, organic carrot powder. Love this popcorn…plus…it is made in Florida…yippee!!! Thank you for validating the recommendation! Yes, we met Shawnee at the Miami Seed Food Festival — very kind and generous! This popcorn is sensational and the nutritional list is very impressive! Highly recommend!